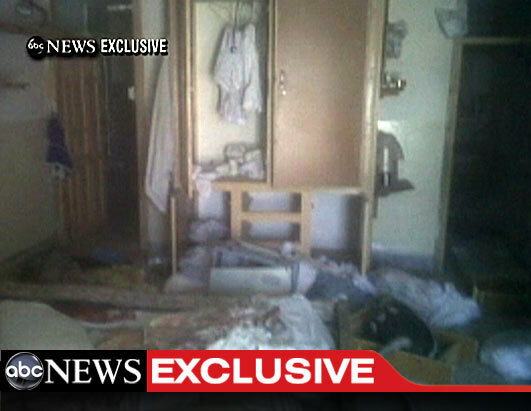 ABC News has released this exclusive video saying that it was taken from inside Osama bin Laden’s compound just hours after the raid. CONTENT WARNING: contains graphic images. The compound is six times larger than any house around it. It has 15 foot high walls with barbed wire on top, and two security gates. Two couriers and their families lived at the compound with Bin Laden, his youngest wife and his son.